espressOH! – Favorite Boku No Hero Academia Characters! 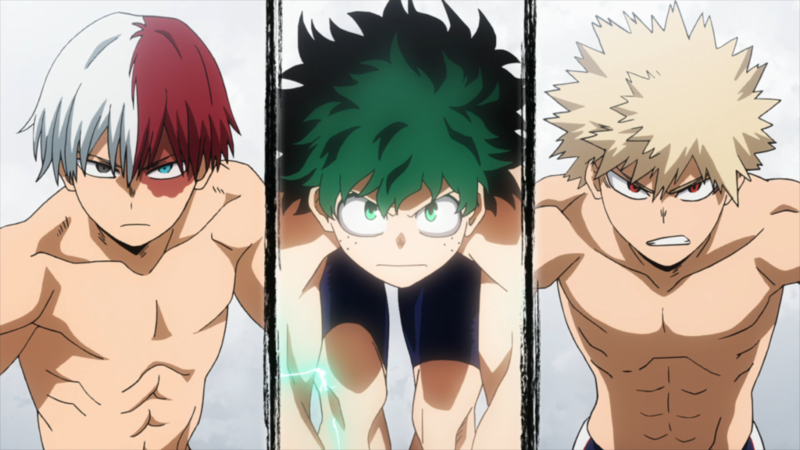 One current hot topic of the town is the animated series adaptation of Kohei Hirokishi’s Boku No Hero Academia. It depicts a fictional Japan where the people are able to manifest different super powers and abilities known as “quirks”. It follows the story of Midoriya Izuku and his journey to become the greatest hero! The series focuses not only on the main character, but also on the people that surrounds him. These include the other U.A. students, U.A. teachers, and pro-heroes. Here is a list of my favorite characters and a brief introduction to their quirks and personalities. Todoroki is hands down my most favorite character in the entire series. Well, who knows, maybe as the manga progresses I will find someone to like more but as of this current moment, he is that one-top character. 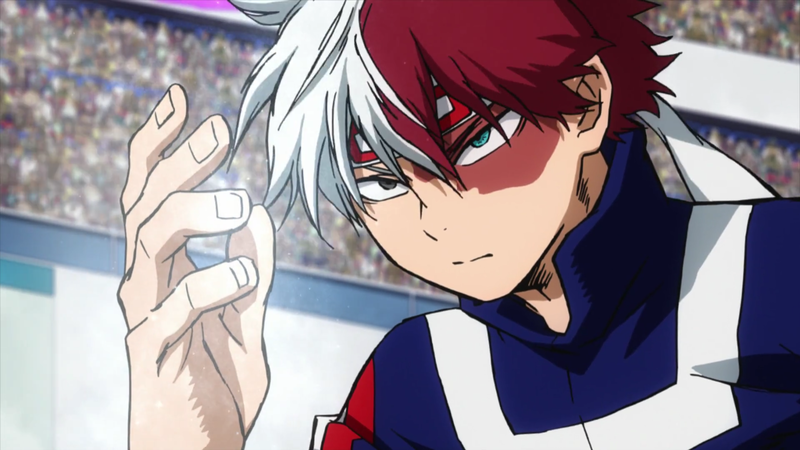 Todoroki’s quirk is called Half Hot Half Cold which enables him to create ice from his left side and create fire from his right side. He has a very cold personality, but inside, is actually a warm and tender-hearted guy. Although aloof, he is very approachable and is willing to help his friends. Kinda like hard on the outside, soft on the inside. Also, rather than “cold”, I would like to call him “innocent” instead. He is an extraordinary fighter as one of the strongest in Class 1-A and will probably be a hero that will surpass even his own father, Endeavor. Thanks to Deku, he is able to know himself better and thus shown great improvement in his personality. He is also able to embrace the power bestowed by his father and take one step ahead into achieving his dreams. Todoroki is also, by far, the most handsome character in the entire series! Tamaki is a very interesting character, almost like a younger version of Aizawa. He is introverted and seemingly has a weak mentality. This is shown when they went to visit Class 1-A and tried to imagine the students as potatoes (and failed, so he just faced the wall). 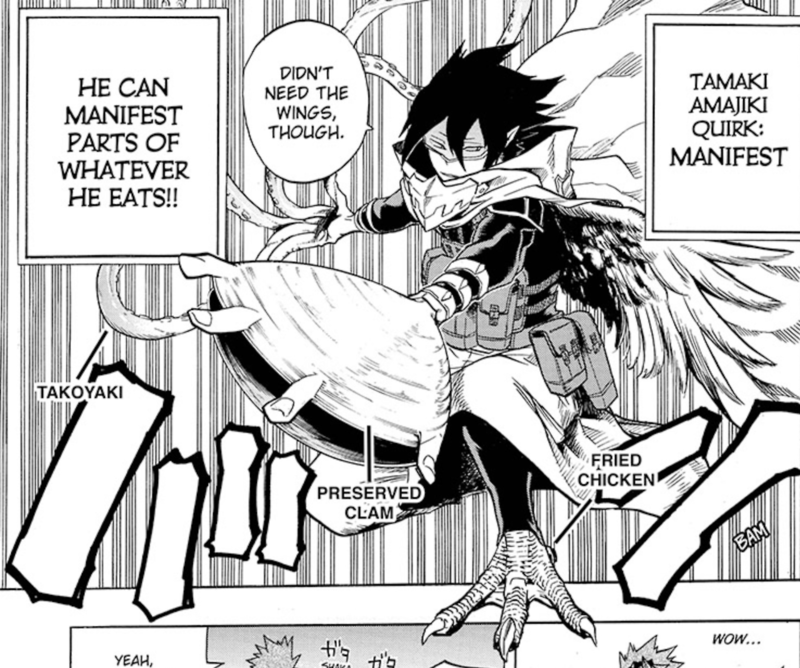 His quirk is called Manifest, and it allows him to change his physical structures into food he’s recently ingested. This can be seen when Tamaki changed his fingers into tentacles, since he just ate takoyaki. Although a character with low self-esteem, Tamaki still upholds his own beliefs and dreams. He has a great bond with Mirio and he admires him for his persistence and determination. Tamaki holds Mirio dear and is his role-model, thus, making him strive harder and become stronger. Aizawa is the homeroom teacher of Class 1-A. Like the two aforementioned, he also sports a reserved personality. I must admit, at first, I thought I will not like his character, especially when he said something about Deku having “zero potential” but now i’m heart eyes all over for him. His quirk is called Erasure, and it’s a very interesting quirk for it grants him the ability to erase the quirk of anyone in his field of vision. 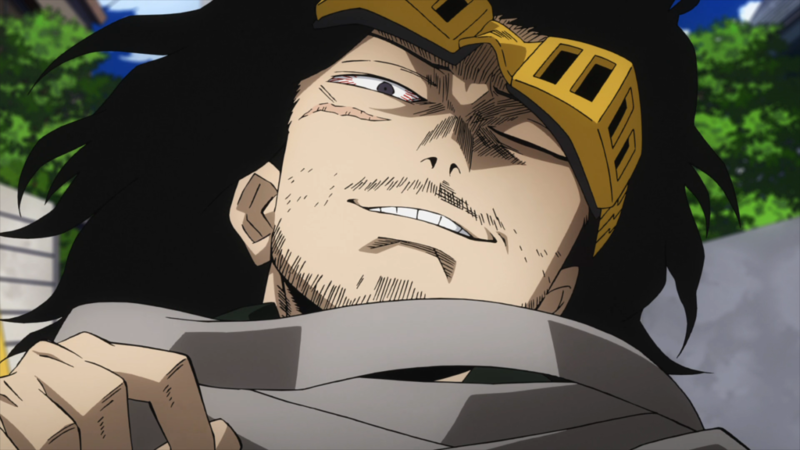 Aizawa, although he seems like that teacher who doesn’t care and just sleeps around, is a very responsible and is almost a fatherly figure to Class 1-A. He is willing to risk his life all for the sake of his students. Tsuyu is hands-down, the best female character in Boku No Hero Academia. And NO, I won’t be accepting arguments. Her quirk is called Frog, and it basically allows Tsuyu to have the characteristics of a frog, such as a long tongue, high jumping, and sticking to walls. Her quirk may not be the strongest, but it has many capabilities and she is smart enough to utilize them accordingly. Tsuyu is also responsible sister & daughter (as seen in an OVA) and is a dependable friend. She is outspoken and recognizes her mistakes (when she apologized to the Bakugo rescue team). She is also very smart, thinking out things rationally, and always keeps her calm. In U.A., there are two types of student admission. One is finishing the entrance exam (like Deku, Iida, and Uraraka) or get in through recommendations. Those who get in through recommendations are no longer needed to take the exam for their skills are already a given. 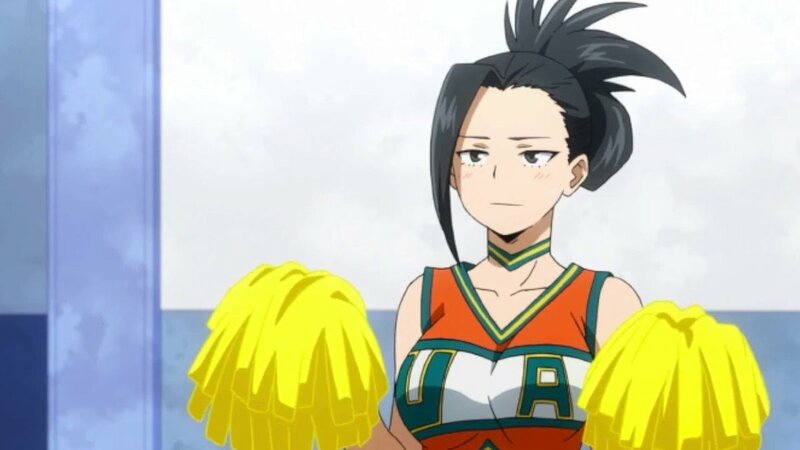 There are only four freshmen like this, first is Todoroki, and the other is our girl Momo. Momo’s quirk is very useful and will really come in handy at times needed, it is called Creation and it enables her to create anything through the lipids in her body. Momo is a very intelligent lady, as seen when she came first during their midterms, and is born of a rich family. She has an amazing quirk, so people may think she’s got nothing to worry about. However, Momo herself lacks confidence. Claiming self-esteem is a process, and thanks to Todoroki during their practical exam, Momo is now one step ahead. She is also the vice-president of Class 1-A. Theorize him a traitor or not, Kaminari is still one of the best characters in this show! FITE ME! 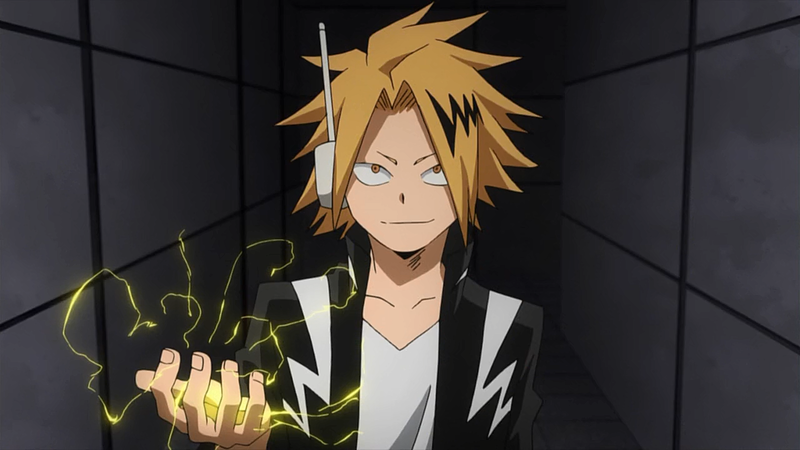 Kaminari’s quirk is Electrification and, well, as it suggests, he uses electricity. He can charge up to 1,300,000 volts, but if he surpasses his limit, it can cause his brain to short-circuit. AND THIS IS WHERE THE FUN PART BEGINS. If this ever happens, Kaminari becomes a total idiot. He loses his personality and turns into an entirely different person with both of his thumbs up saying “waaaayyyyy!!!”. No worries though, he can recharge himself using a phone charger. Kaminari also has a perverse persona. Not as bad as Mineta, but Kaminari has his own needs. He also tends to be flirtatious around women, although quite unsuccessful at times. 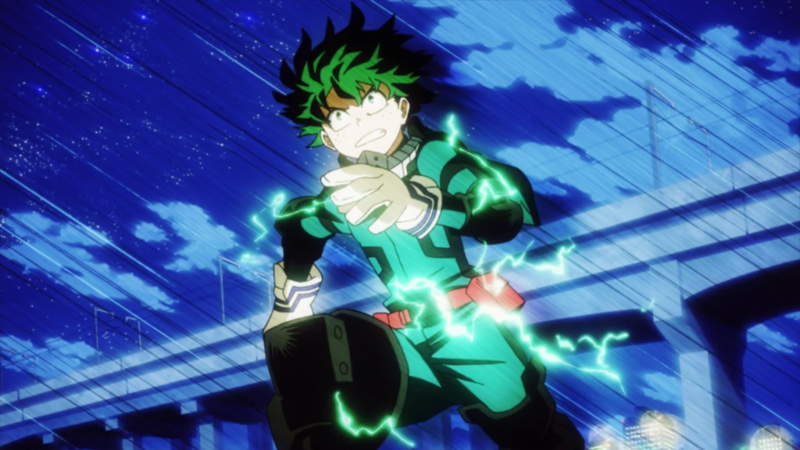 The soon “greatest hero”, Midoriya is the show’s main protagonist. Ever since he was young, he always replayed a video of All Might saving people and so he dreams to become a hero, much to his and his mother’s dismay, he was found to have been among the minority of the Japanese population that are quirkless. Saddened, he still continued to reach his dream. At a fateful encounter, he got entangled with All Might, and so he was chosen to be the successor of his idolized hero. Now, he is the owner of the quirk called One For All, a quirk that is passed down and strengthened from generation to generation. Midoriya is an enthusiastic and determined student. He may be a bit awkward around girls, more specifically Uraraka, but over-all he is a friendly lad. 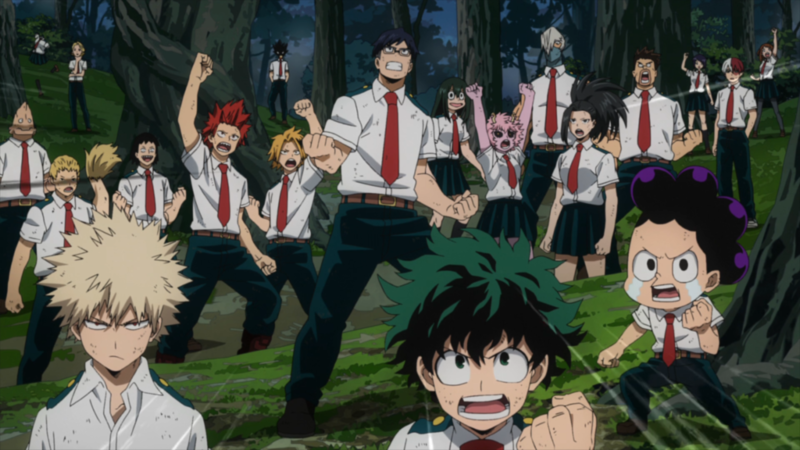 When he chose “Deku” as his hero name, his classmates were shocked and was quite unsure. It is because “Deku” is what Bakugou calls him to make fun of his “uselessness”. Thanks to Uraraka, he found a new meaning to “Deku” which is “I can do it.” Even though Bakugou straight-forwardly bullies him, he still idolizes Bakugou and holds him dear. Yeah, Battle Fist may be too unfeminine for a beautiful lady but I must say, it is very well fitting. Kendo is the class president of Class 1-B and is often seen neutralizing Monoma’s peculiar attitude towards Class 1-A. Seemingly similar to Momo, Kendo is a responsible and an intelligent woman. Her quirk is called Big Fist, and it enlarges her hands to be used in combat. Her giant hands can not only be used for offense via direct contact but can be strong enough to create strong gusts of wind. Who else ships Jiro with Kaminari? Because I do! Anyways, Jiro is frequently seen with a somewhat aloof and boyish personality. 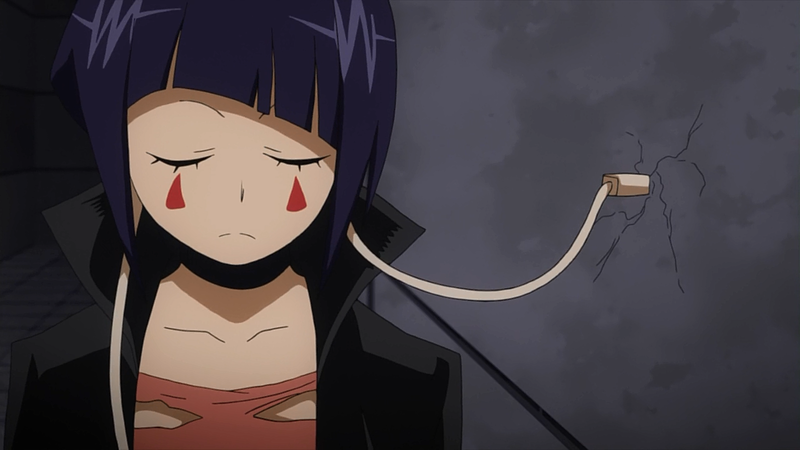 Her quirk is called Earphone Jack, like her hero name. It allows her to use her elongated earlobes with finishing earphone jacks in combat. She can plug them into anything and channel her heartbeat’s vibrations causing the object to destruct. In her hero costume, she uses an amplifier to amplify strong frequencies of sound. Jiro has a huge love for music, being that her parents are both musicians. At youth, she was aspired to follow her parents’ steps, however, she decided to become a hero instead. Initially, Jiro was reluctant to mention her dreams to her parents but they accepted Jiro’s aspiration and told her to do what she wants. Even though, she is still a musically inclined individual. She knows how to play instruments and is a great singer. It’s very rare to hear “Toshinori” because aside from Gran Torino, no one calls him that. We can NOT make a list of favorable characters without All Might, and that is a fact. 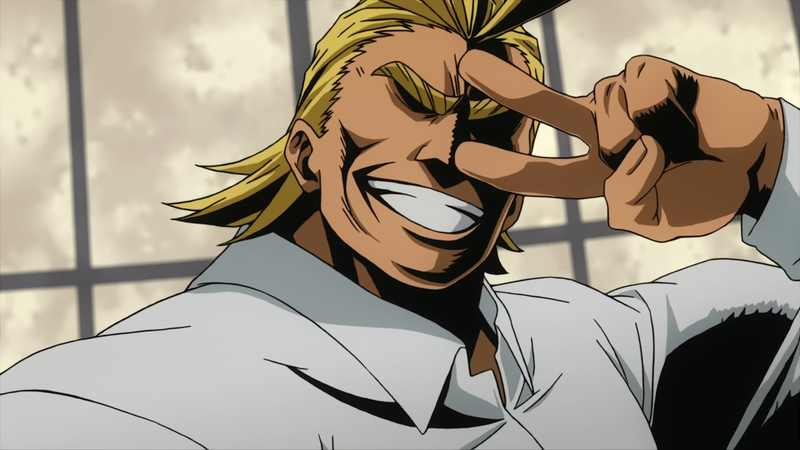 Known as the “Symbol of Peace“, All Might was the world’s greatest hero at his prime. Severed by his first fight with All For One, he decided to become a teacher at U.A. to find a successor or a vessel of One For All. He bestowed One For All to Deku and dedicated his life at U.A. in training and nurturing the new “Symbol of Peace.” He is a hero not just by name, but by heart, and will do anything, even risking his life, for the sake of many. Of course, the characters mentioned above aren’t the only likeable characters. If we would go for that criteria then everyone would have been here. 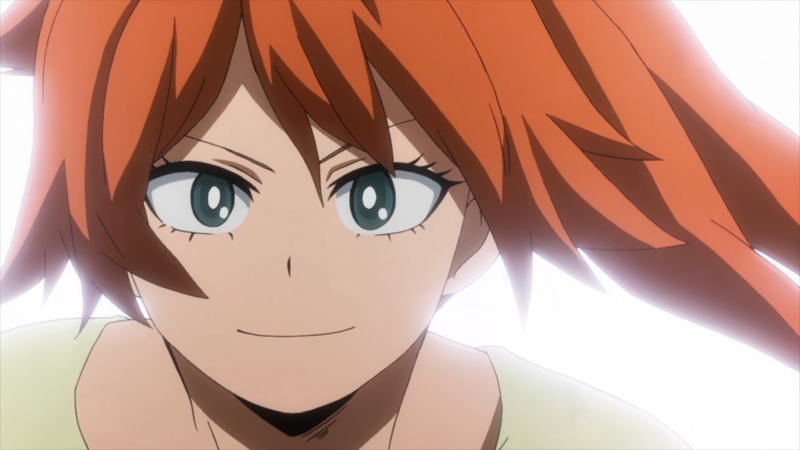 There are also Class 1-A students like Uraraka, Iida, Hagakure, and Ojiro that also deserves love. Anyways, Boku No Hero Academia is still airing with new episodes every Saturday! As a reader of the manga, things are about to get messy soon! But of course, Class 1-A will still push through. Plus ultra! Special thanks to Boku no Hero Academia Wikia for the valuable information!